Heather Thomson, 100 000 Mark 25 Juli 1923, 2018, photo-lithograph, ed. of 7, paper size: 17" x 23.5". Heather Thomson, 100 000 Mark 25 Juli 1923.04, 2018 photo-lithograph, ed. 8, paper size: 9" x 9". 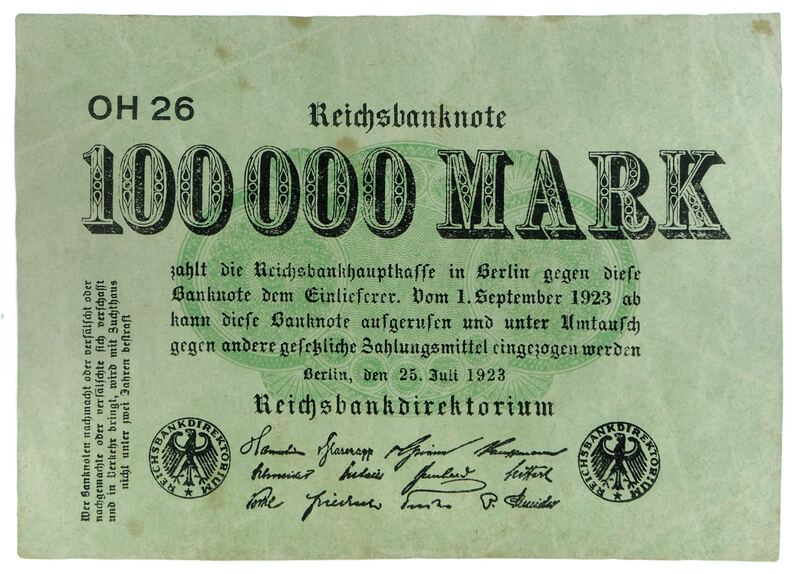 Heather Thomson, Eine Million Mark 12 August 1923 No. 194918.01, 2018, photo-lithograph, varied edition of 9, paper size: 8.75" x 15.25". Each year, Open Studio awards two, yearlong residencies to artists of merit. The Don Phillips Scholarship is awarded to a graduating student who has just completed an undergraduate art program with a printmaking major at an accredited Canadian institution and who will not be returning to full-time studies. Recipients are provided with rent-free access to Open Studio facilities for a period of one year, materials allowance, professional development assistance, and tuition-free access to Open Studio’s education program. This exhibition is a result of this intensive work period. 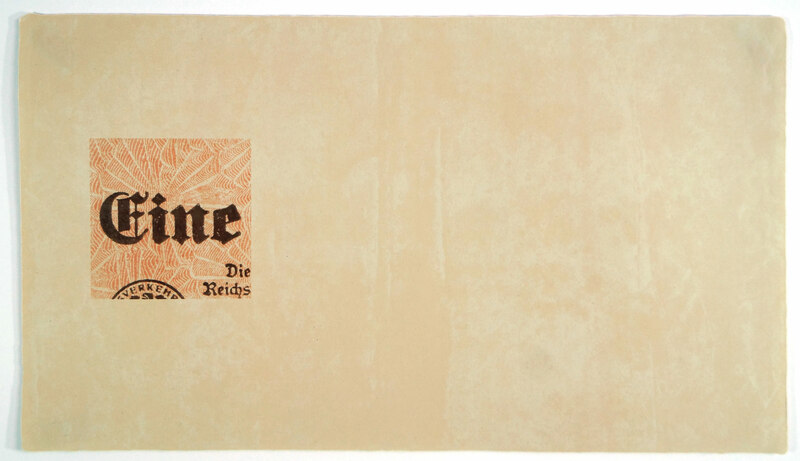 Although many countries faced economic hardships following World War I, the German Papiermark was notoriously volatile and exceeded other inflation rates. Beyond Statistics: The Artifacts of Inflation continues Thomson’s visual and historical research into Papiermarks. Heather Thomson feels discussions on hyperinflation Germany focus on statistics and disregard the physicality of currency. 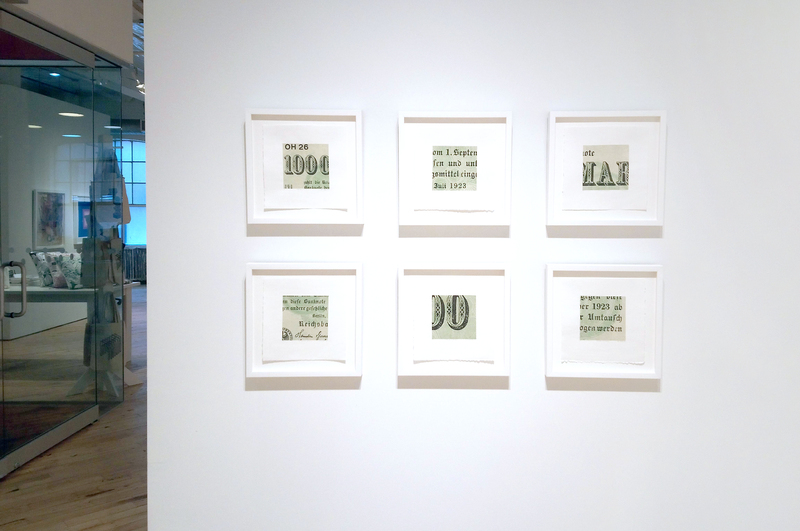 For Thomson the banknotes embody complexities of the inflation period and she strives to highlight their physicality through magnification. She is intrigued by the usage implied by the folds, stains and tears on the notes as it contradicts her research. In the later stages of inflation, foreign exchange and emergency monies were used instead of Papiermarks. Thomson believes Papiermarks no longer met the definition of money by the summer of 1923. 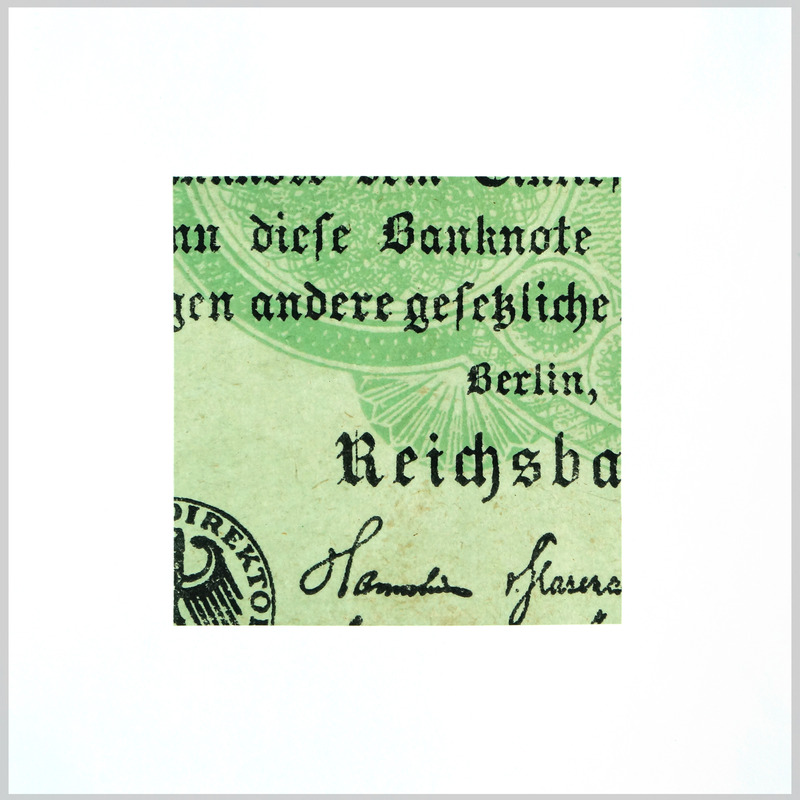 The banknotes’ intricate designs are a detail Thomson finds beautiful. As a security feature, they are a testament to their intended use and raises the question: were they worth a counterfeiter’s attention? 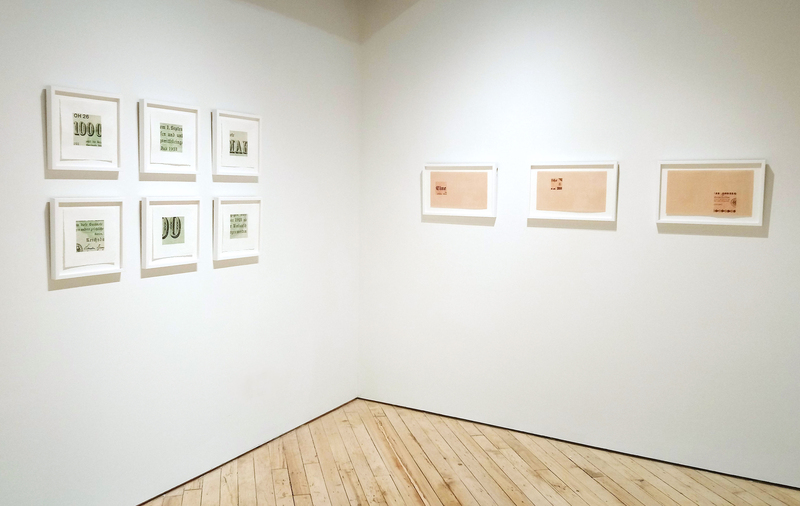 Thomson’s approach to creating her pieces involves seven or more photo-lithography layers, which increases the capacity for detail. She invites the viewer to observe minute details and presents Papiermarks as art objects with stories to tell, moving them beyond statistical value. Based in printmaking and drawing, Heather Thomson’s practice is an amalgamation of her passion for history and her desire to use a visual language. Her pieces are a culmination of research and visual study that adhere to a central question or concept. She received her BA from the University of Guelph in 2017, focusing on Studio Art and History. Currently based in the GTA, Thomson spends her time between Oakville and Toronto. The artist would like to acknowledge the support and encouragement she has received from Open Studio Staff and Artist Members during her scholarship. She would like to give special thanks to Pudy Tong for his guidance in plate-lithography and photoshop, as well as Smokestack Studio for their film work. To view more print work by Heather Thomson, please visit the Open Studio online store by clicking the button below.